A new season is upon us and spring is the perfect time for you to grow more wins! Spring has arrived and it's time for awakening to fresh winning chances with a couple of crisp bonuses plus more Free cash! 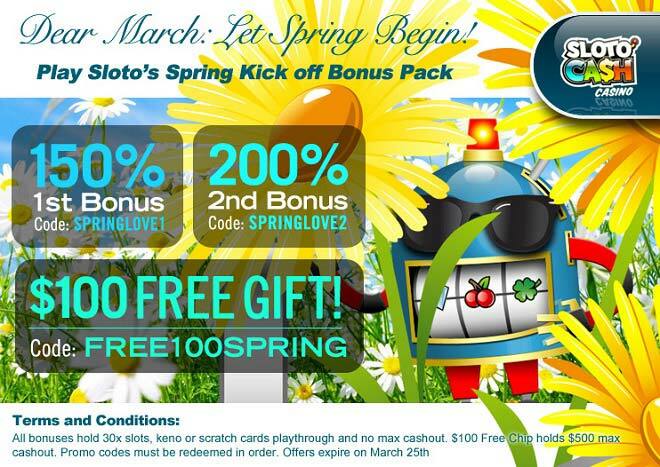 Energize your spring as soon as March kicks in and make your Sloto’Cash account blossom with wins!